The unique design of the packaging is based on an old pot for the traditional handmade manufacturing process of the cheese inside the packaging unit. With this unusual design the corrugated cardboard in F-flute is a striking eye catcher at the P.O.S. 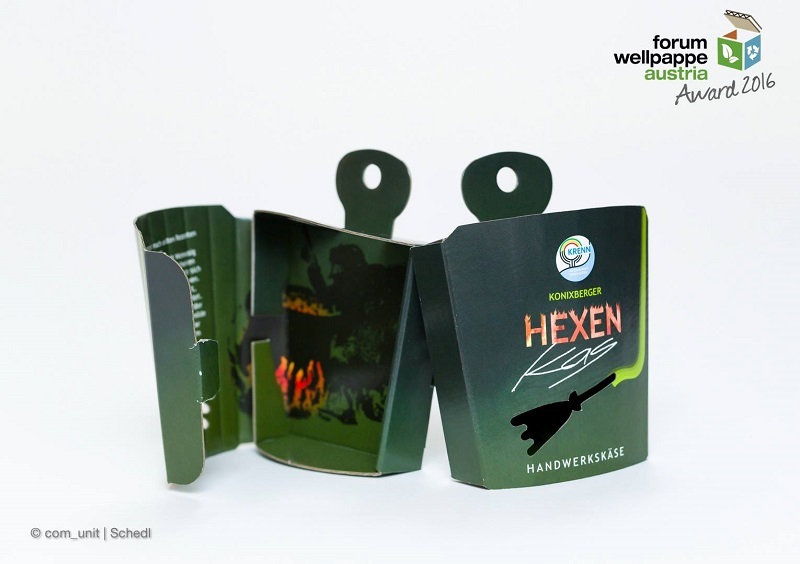 The high quality offset print on the outside of the box is mysterious, but to transfer essential information there is also a high quality offset print on the inner surface. A small die-cutted window ensures a view to the product inside.